West Nile Numbers On The Rise, But Is It As Bad As Last Year? Found throughout most of the world, with the exception of Southeast Asia and Australia, the sweat bee is a beautiful flying pest. 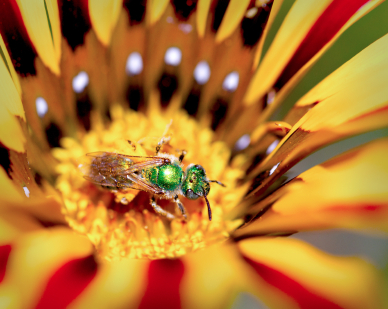 This native North American bee are commonly metallic in color; a metallic green, yellow, red, or combination of all three. A few types of sweat bees can be a boring brown or black in color as well. Many people are scared at the sight of a sweat bee because of their intense appearance. Rest easy folks, as these bees are actually quite docile and will not sting you unless you go out of your way to handle one of them. 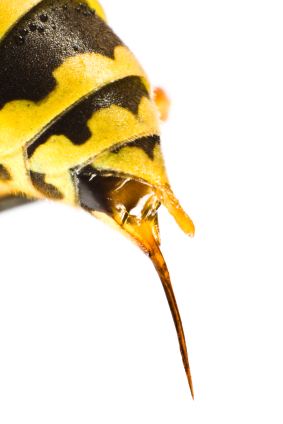 These bees happen to get their names from one particular traitâ€¦ They love sweat! They are drawn to human perspiration; something the sweat bee gets important nutrients from. Sweat bees frequently nest underground, or in dead or rotting wood. Although they are solitary bees, sweat bees have been known to work together and share nests and tunnels.